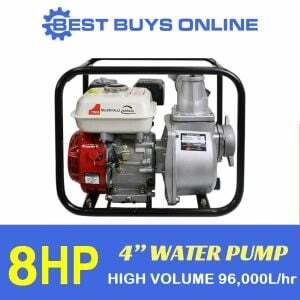 Are you looking for a water pump for draining your basement or draining and filling your swimming pool, pond, or hot tub or irrigation and construction purposes? 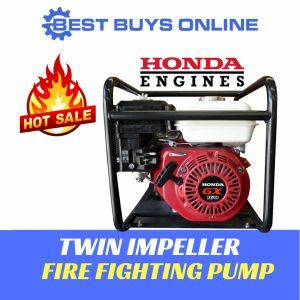 When considering the water transfer pump, make sure you choose the right equipment that features a state-of-the-art design, compactness in structure, reliability in performance and ease of maintenance like this Water Transfer Fire Fighting Pump. 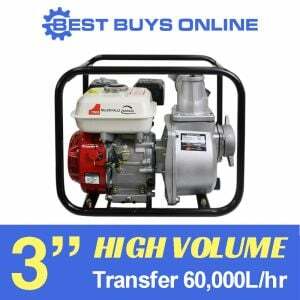 This easy-to-handle, sturdy water pump has an impressive high-volume water discharge (30,000L/hour) and highly effective mechanical seal for durability and superior performance. 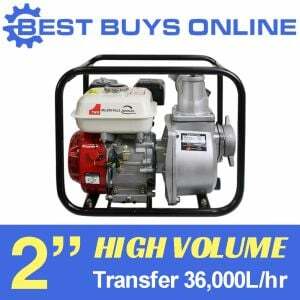 It enables you to quickly get the job done as maximum capacity is 500 Litres per minute. 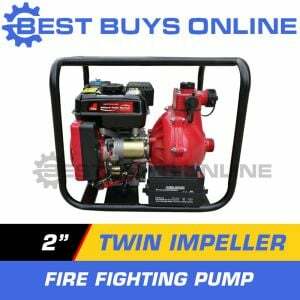 Designed with a high degree of versatility, it has 3 outlets for a variety application. 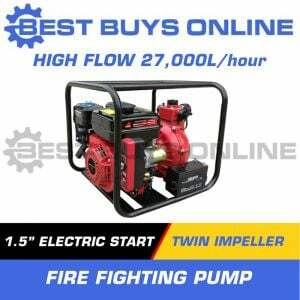 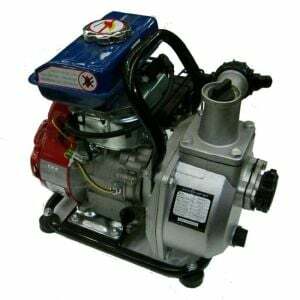 The general-purpose gasoline engine is a single cylinder 6.5 HP 4-stroke engine, using the advanced technologies introduced from abroad. 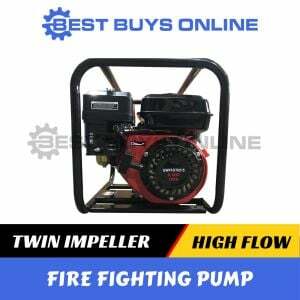 This model is protected by a rigid steel rollover pipe frame and is compact in structure with portable design and very light-weight.